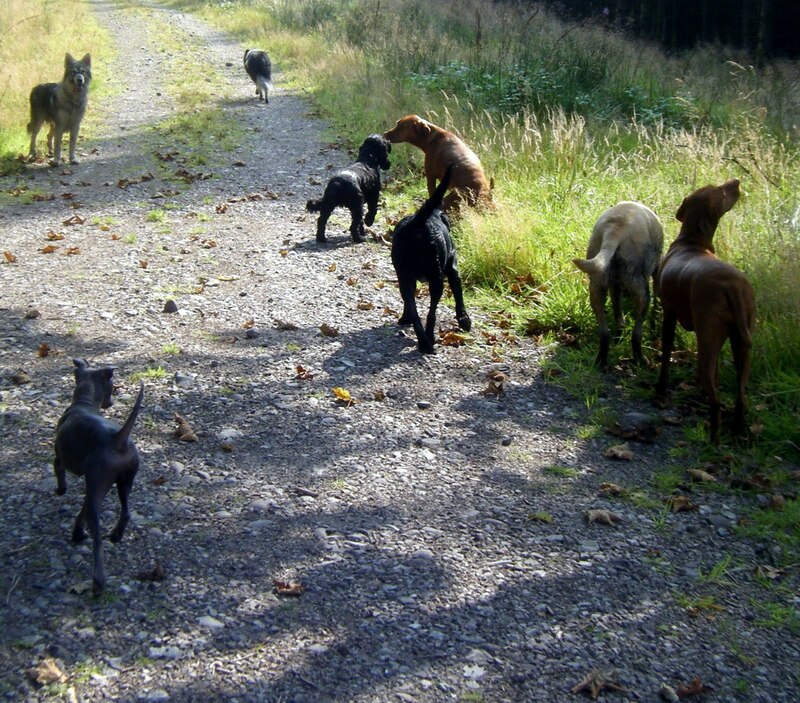 With me today were Holly & Ivy, Ted, Murphy, Juno, Skye, Vito and special guest – Ludo. Ludo is a American Hairless Terrier, one of only seventy in the UK, and comes all the way from London. His owners are in Scotland for a wedding, and chose me to look after him for a couple of days. I am honoured! Ludo is a lovely dog, loves the company of the rest of the pack, travels well and is no bother at all………hope your owners come back again some day, Ludo!